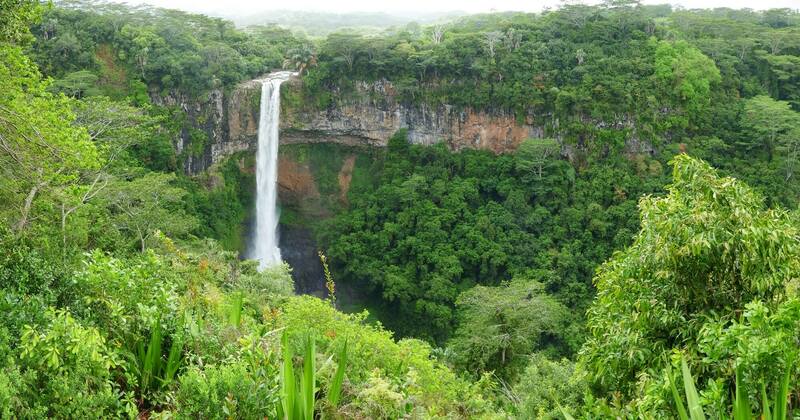 Today it is primarily known for its scenic locations and nature attractions in its neighbourhood, among them are the Seven Coloured Earths, the Chamarel Falls, Ebony Forest Chamarel and the Black River Gorges National Park. The surrounding area is also known for its locally grown coffee. Chamerel's church Saint Anna was built is 1876 and is subject to a pilgrimage on the Assumption of Mary (August 15), during which the village hosts a fair associated with the pilgrimage as well. Chamarel is a village located in the western hills on the west coast of Mauritus at an elevation of about 850 feet (260 m) between Savanne and the Black river districts where the cascades are formed on the River du Capano flowing through an "amphitheater of abrupt rocks". It is a wooded plateau. The village is known for its "hushed buconic vibe and cool breezes". It is 6 kilometres (3.7 mi) from the coast. Fauna noted in the forest surrounding the town is tortoise.